Many royal families have one dedicated wedding tiara. However, the Dutch royals tend to have a few tiaras that have graced the heads of royal brides. One of the most recently worn of these pieces is the family’s laurel wreath tiara, also sometimes called the bandeau à la grecque (because the laurel wreath motif is a traditionally Greek design). The laurel wreath tiara is one of the oldest pieces in the Dutch collection, but there are two competing theories about its arrival in the family’s vaults. One posits that the tiara originally belonged to Princess Louise of Orange-Nassau, the sister of King Willem I of the Netherlands. Princess Louise died in the early nineteenth century, which would be just about right for the presumed creation date of the tiara. 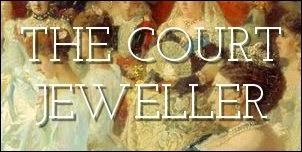 The other theory suggests that the antique tiara is a more recent purchase, acquired in the 1950s by Queen Juliana and Prince Bernhard and given to Princess Beatrix to celebrate her eighteenth birthday. Beatrix received the tiara as a gift whether it was newly purchased or dug out of the depths of the family’s collection, and she wore it regularly as a young princess. She also shared the tiara with two of her sisters, Princess Margriet and Princess Christina. Above, Christina wears the tiara to the dinner held the night before Beatrix's abdication. In recent years, however, the focus has been on the Dutch brides who have worn the tiara. Laurentien Brinkhorst wore the diadem at her wedding to Beatrix’s son, Prince Constantijn, in 2001. And Princess Irene's daughter, Princess Maria Carolina of Bourbon-Parma, wore it at her 2012 wedding to Albert Brenninkmeijer.